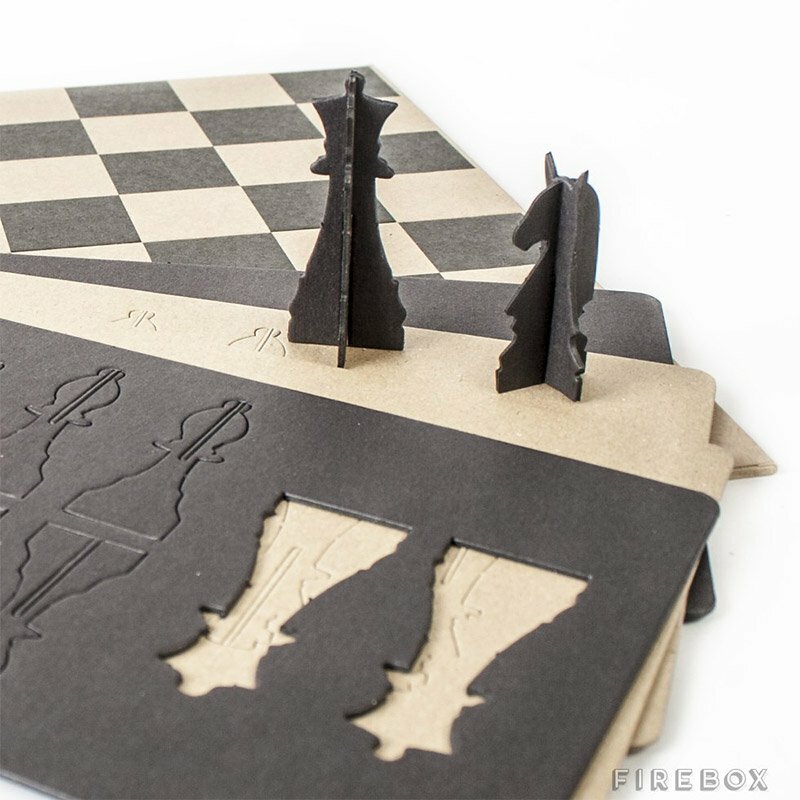 A flat-pack chess set that’s easily assembled from sheets of thick, pre-cut cardboard. 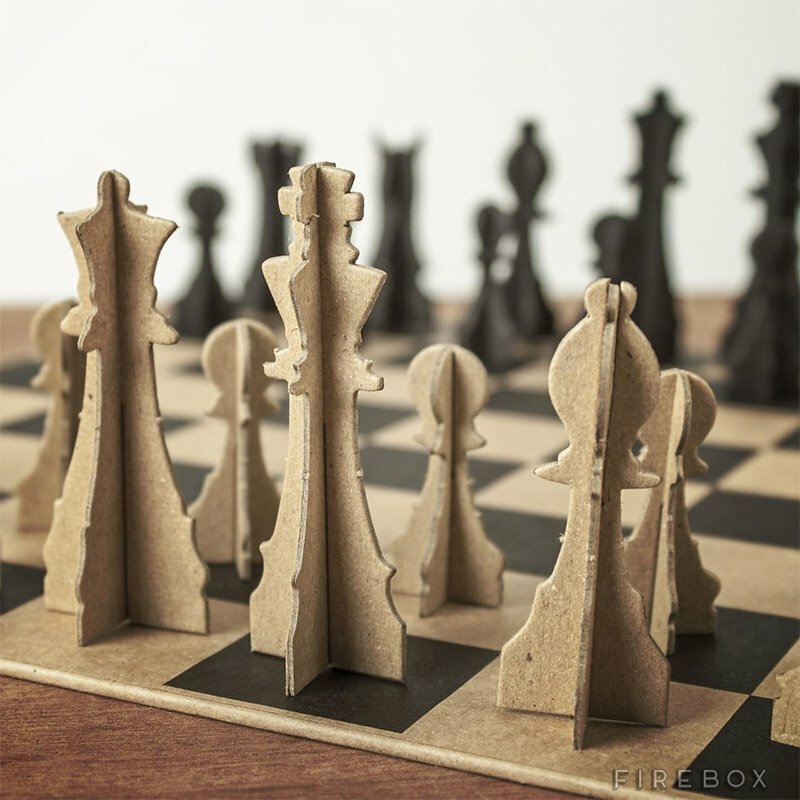 We love the look of the pieces, though you wouldn’t want to play it in the rain. It’s also not all that portable once it’s assembled.